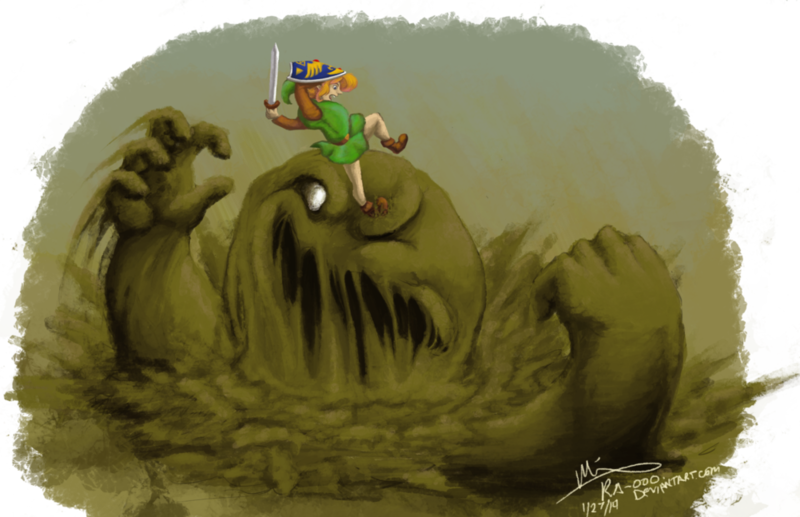 This is Geldman, one of the many minor enemies in Zelda A Link To The Past. 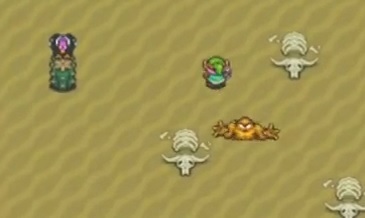 In the game itself, those enemies are not that scary looking and relative small, so Ra-ooo changed their size a bit for our first illustration of these guys. 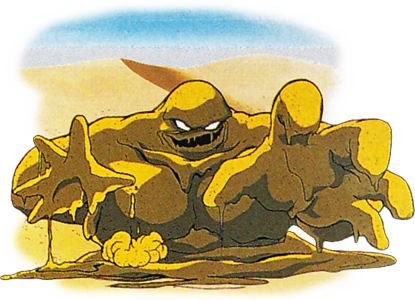 “I don’t know about you guys, but the way geldmans burst out of the sand unexpectedly, sometimes from directly under your feet, always made them feel a lot bigger and scarier and all-around generally worse than they really are XD That, and the concept art for them makes them way bigger and cooler than they appear in-game.